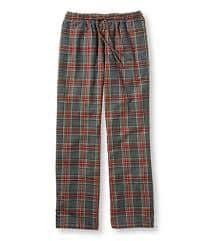 As the temperature begins to drop it is an excellent time to stock up on some comfy men’s flannel PJ pants. Flannel is one of the warmest fabrics for pajamas, although these days there are a lot of different thicknesses, so it isn’t always easy to know if you are getting a pant that is going to be super warm. Whether you are wearing them for lounging around your house or for sleeping, most people are looking bottoms that are warm, thick, good quality and comfortable. We have rounded up some of the best brands with the warmest styles. 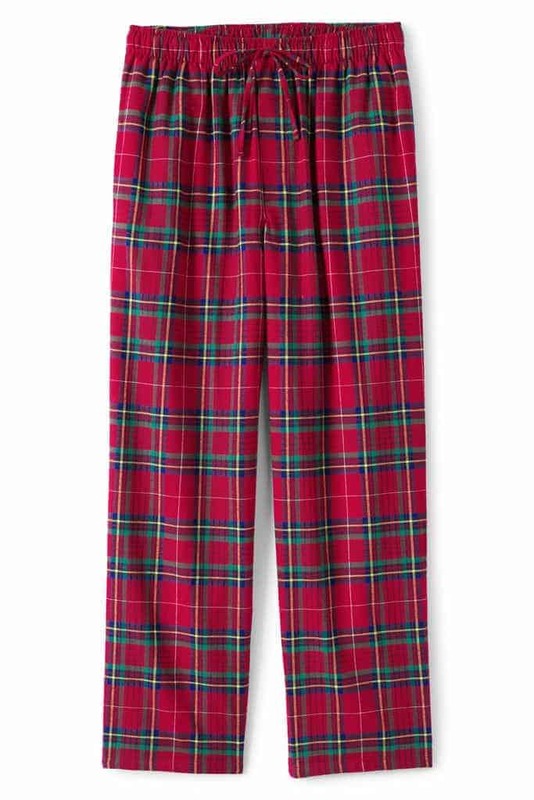 L.L Bean is a great place to get good quality, warm, super soft plaid flannel PJs. Their PJs are one of the best bets to keep you warm and cozy on cold winter nights. 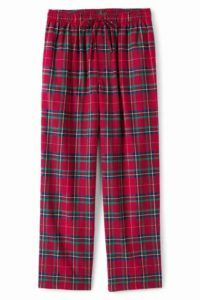 One of their most popular styles for winter is the Scotch Plaid Flannel Sleep Pants. It is a classic, loose fit that comes in many colors. The flannel is pretty thick and will keep you warm, without overheating. They aren’t the cheapest flannels you are going to find, but you should be able to get many years of wear out of them. They come in regular and tall sizes, and they go up to XXL. The only drawback to this style is that there is no fly; this might not be a big issue for some. L.L Bean comes out with new patterns and colors of the plaid every few years. Polo Ralph Lauren has a lot of great options for men’s sleepwear that you can always find in department stores. Their flannel options tend to be pretty nice, usually decent quality with soft, comfortable material. 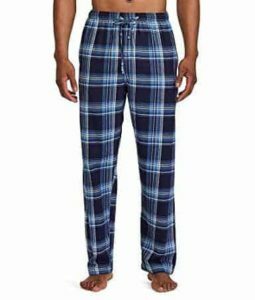 The style pictured is the Polo Ralph Lauren Men’s Flannel Pajama Sleep Pants. It is a little bit of a lighter fabric, but it will still keep you warm on cold nights. Since it isn’t super thick, it helps to make them feel super soft and cozy. They are a slim fit, and some people might find them a little tight if you are looking for a loose fit. They have pockets, an elastic drawstring waistband, and a button fly. 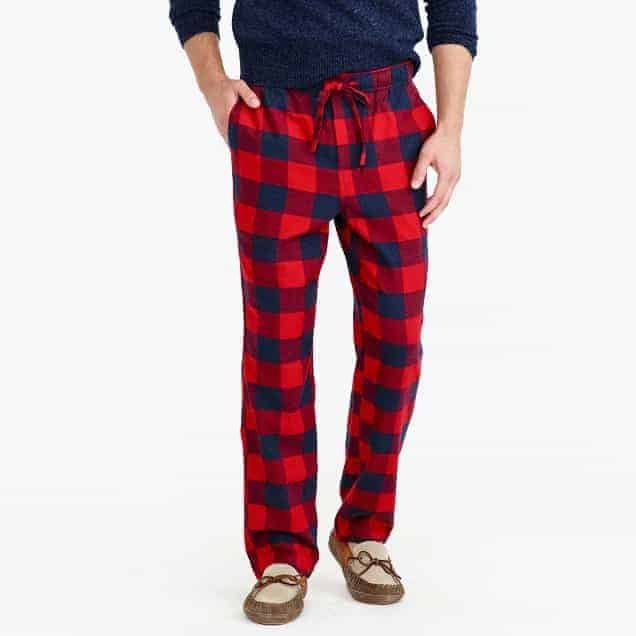 A good, inexpensive option is the very comfortable Hanes Mens Cotton Flannel Lounge Pajama Pant. These are definitely a budget choice, and the flannel isn’t the thickest, so if you are looking for a toasty pant, this probably isn’t the style for you. They are very comfortable though and will get softer the more you wash and wear them. The larger sizes have kind of a long inseam, so check the size of the inseam and the waist if you are concerned that they may be too long. They have a drawstring with Hanes’ ComfortSoft® waistband as well as side pockets. If you are interested in flannel sleep pants because you want to be warm, a brand that you should look at is Mount Noble. 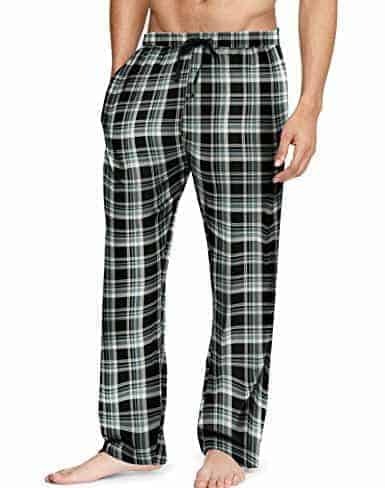 Their 100% Cotton Flannel Lounge Pants are a good choice if you are looking for a thicker flannel that is also soft and comfortable. This style has an elastic drawstring waistband that you can adjust to get a good fit. It also features deep side pockets and a front fly and comes in a tonne of patterns and colors. The real selling point of this style is the thick, heavyweight flannel and the relaxed fit that makes them super warm and comfy. Another brand that produces some great flannel pants is Lands End. Their Men’s Flannel Pajama Pants are a favorite for a lot of people due to the thickness, softness, and warmth of the flannel. They are a little pricey, but they are good quality and should last quite a long time even with a lot of washing and wear. They have the common elastic drawstring waistband, so you can adjust as needed. They also have side pockets that are especially handy if you are using as a lounge pant. It is a good style if you have trouble getting a good fit on your sleep pant because they come in regular, tall and big and go from XS to XXL. So there are a lot more sizing options available compared to other brands. They come in 11 different vibrant colors, that is mostly a plaid pattern but with a couple of variations. If you like a full PJ set you can buy a matching top separately, and they also have some pretty nice looking flannel robes. Depending on the time of year, Old Navy is a great place to get flannels. Before Christmas they tend to have a massive selection of fun patterns and colors, some Christmas themed -if that is your thing. Compared to other brands, they are inexpensive, and you can usually get them on sale. One thing to note about them is they don’t usually have a fly, but they do often have side pockets. They are traditionally a relaxed fit on the hip, thigh, and leg, so they should work well as sleep or lounging pant. J Crew usually has a few good options for flannel PJ’s. They are often more of a slim fit, which may not be everyone’s preference, but the slim fit makes them look good as a lounging pant or even a style that you can get by wearing out of the house(for a short trip like walking the dog). Some fun patterns occasionally pop up in their designs. The style pictured is a classic buffalo check, that looks good and is excellent for the winter. It has a front fly, side pockets and an adjustable elastic drawstring waistband. 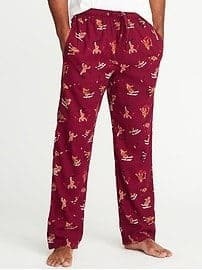 Adjustable Waist– The waist options for men’s PJ bottoms is usually a toss-up between an elastic waistband and an adjustable elastic with a drawstring waistband. Unless you are average size, it is best to go with the drawstring style so that you can adjust it for comfort. Length of the Pant– One of the most challenging things to get right is the length of the pajama bottom. 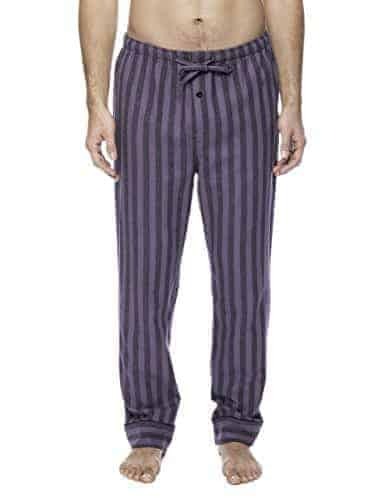 Since PJs come in more limited sizing than regular pants, there is a good chance you get a pair that are either too long or too short. You can always hem the pant if it is too long, but that can be a pain. If you are concerned about the length of the leg, check the inseam length on any style you are thinking about getting. If you are very tall, try Land’s End or L.L Bean, as you can get their designs in tall sizes. The thickness of the Flannel– Generally if someone is shopping for flannel sleepwear they are looking for something that is going to keep them warm. You should be aware that there are flannel PJs that are available that aren’t all that warm because the thickness of the flannel varies quite a bit. If this is a concern for you, ensure you read reviews to check for info on the thickness or heaviness of the flannel. If you don’t, you may end up with something that isn’t warm enough for you. Fly– Generally styles have a button fly for easy access. However, there are a couple of trendy brands that have no fly at all including the very popular L.L Bean style and the Old Navy Flannels. Most men will be able to manage without the fly, but if this is an issue for you make sure you check before you buy. Pockets– You probably don’t need pockets if you are wearing the PJs to bed, but if you wear them as lounging pants you may find it useful to buy a style that comes with pockets. Some people like to have big enough pockets to be able to hold a cell phone. Sizing– With most styles there is a limited range of sizes, usually S, M, L, and XL. If you have trouble finding an excellent fitting pant, try shopping by waist size and then have the length tailored as needed. Many of the brands also shrink quite a bit when washed, so keep that in mind when you are shopping.